Have you ever slept off without combing your hair? Well, count me in. I did and honestly speaking there are days that I cannot even manage to follow my basic CTM (Cleansing Toning Moisturising) routine before going to bed. It won't be an aggregation to say that there are many such times when I cannot even manage to see myself in the mirror. However, of late I have realized that you need to be a jerk to neglect your hair and take it for granted. Here are my basic 5 hair care tips for busy moms who hardly find time to catch up in beauty salons and hair spa. It has been estimated that up to 60% of our body is made of water. It is the most essential nutrient for every cell in our body. It hydrates, lubricates, absorbs and regulates our body enabling us to perform the vital body functions. Hence our hair is not an exception. When we drink ample of water, our hair becomes strong and hydrated. When hair roots and strands become strong, it prevents breakage and promotes growth. How much of water should we drink daily? According to the healthcare authorities, we need to follow the 8x8 rule which means eight ounces of water eight times a day which is equal to half a gallon or 2 liters of water. 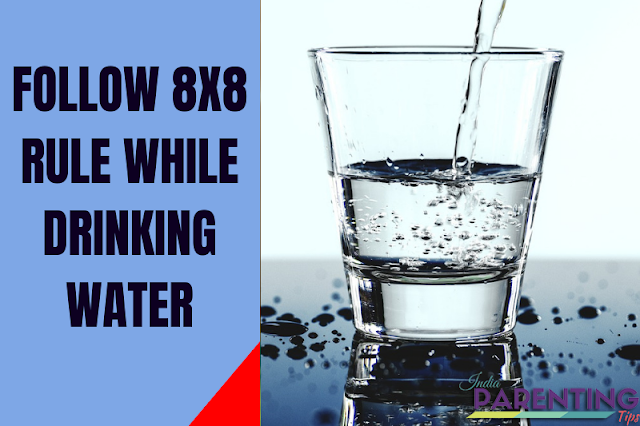 Hence even if we are busy moms we need to ensure that we keep sipping on enough of water throughout the day. This would also ensure a clear glowing skin. Busy moms find it hard to follow regular hair care routine. The least you could do is to maintain a clean scalp. When your scalp is dirty or sticky, it invites all other unwelcome guests like dandruff, itchiness, bad odor and not to forget the head lice. To do away with this menace you need to ensure that you wash your hair 2-3 times a week. I definitely do not suggest shampooing hair every day as it takes off the natural oil from the hair leaving it dry and brittle. Using a right shampoo is very important. 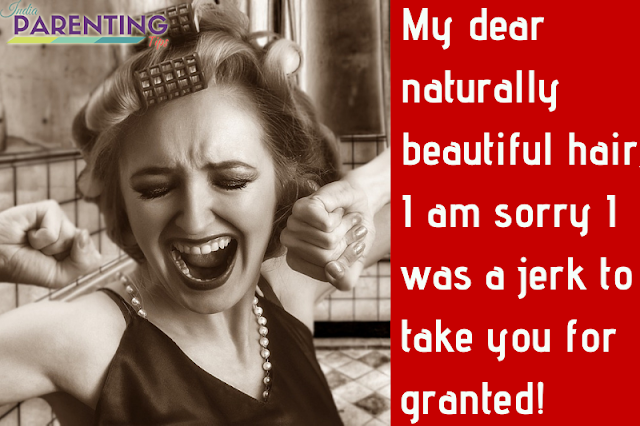 I would always suggest going for natural shampoos that have less or no chemicals. Off late I have been using a shampoo called Khadi natural. Yes, you have heard it right. It is called Khadi natural. It has many varieties. The one that I had bought is Khadi natural with Amla and Bringaraj. 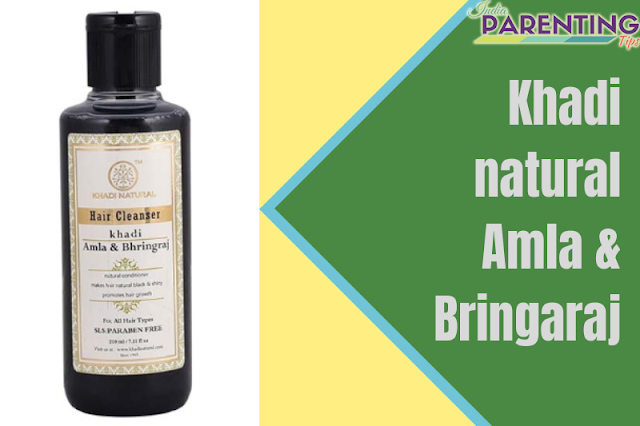 The product claims as one of the best ayurvedic scalp cleansers with natural herbs and oils that promote hair growth. It is enriched with powerful natural ingredients like Amla, reetha, bringaraj that gives beautifully lustrous, silky and healthy hair. I had been using this product for over 2 weeks and I have found that indeed it cleans my scalp thoroughly and gives a nice natural shine to my hair. Hair fall has been considerably reduced. I still need to use it for a month or two to comment on hair growth. Pocket-friendly as it costs only Rs 145 for 200 ml. It makes hair little dry and you need to use a good conditioner after washing the hair with this shampoo. In case you do not have access to this particular product in your country or locality, you can simply go for any herbal shampoo that is natural. Make sure that you read the ingredients that are mentioned about the product before purchasing it. P.S. While using a shampoo always use a warm water to make up a good lather and rinse off with cold water in the final rinse. Cold water closes the hair cuticle and makes it less prone to hair breakage. After cleaning, comes the nourishment. Once your hair scalp is clean, it means it is ready to absorb vital nutrients for your hair. Ensure that you use natural ayurvedic hair oil which has Amla, coconut oil, almond oil or sesame oil. Some of the brands that I can suggest is khadi natural, Shanaz Hussain Shalocks and Kesh King. Ensure that your oil massages your hair regularly at least 2 times a week. Keep a schedule for hair oil massage like Wednesday and Saturday or Tuesday and Friday and so on. 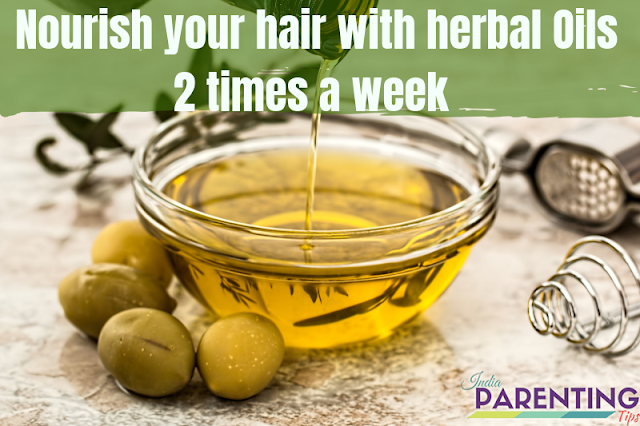 Stick to the schedule and always try to oil your hair in the evening or night and keep it overnight for best results. You may add few lemon drops on your hair oil in case you have dandruff or itchy scalp. Massaging your hair with essential oils promotes blood circulation which stimulates and activates hair growths. Always use your fingertips and slowly circulate on the scalp and hair roots tapping it gently but in regular fast pace. 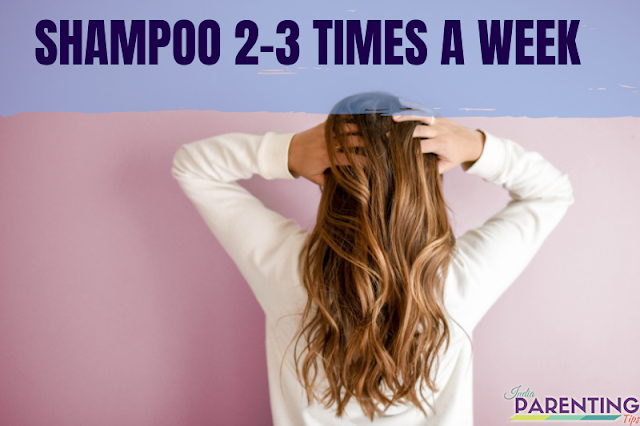 My fourth basic haircare tip for a busy mom is adequate rest and sleep. Moms transform themselves to become Owls once they have kids. In fact, Owls also manages to take rest and sleep at the certain time of the day. However, we don't. We, in fact, end up becoming like a zombie with no complains. Anyways that is what makes us mothers and such special beings on the planet. That being said, it is very important to state that we should try managing some short naps and rest to get ourselves recharged. For this, we need to have proper planning and schedule your resting time by working out plans with your spouse, babysitter or attendant. Reach out to people and take help when you need. You need to sleep to take care of your kids and it is essential. Do whatever you can but make sure that you get your basic minimum sleep in a day. It could be at a stretch or it could be in installments. 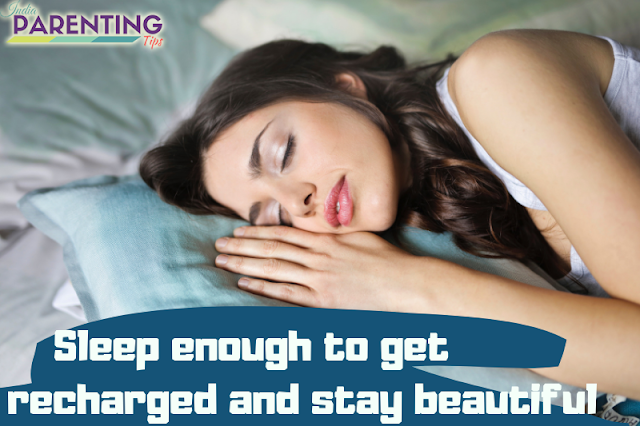 The main action plan is to sleep as it is very vital to repair and regenerate your body including your hair. Lack of sleep triggers many uninvited guests in our body like high blood pressure, weight gain, memory loss, diabetes and many more including loss of hair. Always make sure that you sleep at fixed hours daily and keep that same schedule. The hair mask is a great way to nourish and protect your hair. 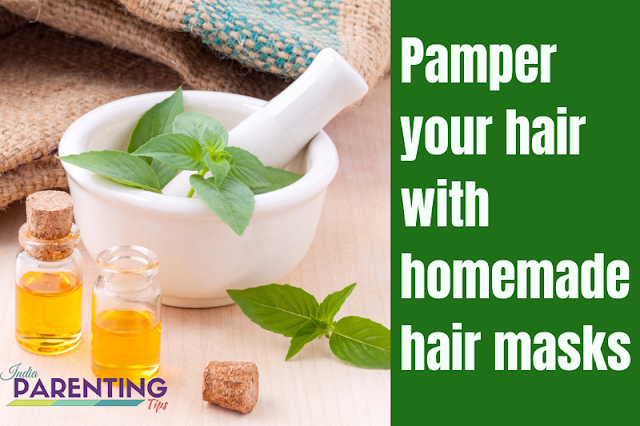 Ensure that you have a hair mask that is natural and easy to use. I have listed some great natural hair mask whose ingredients could be found straight in our kitchen shelf. Some of the ingredients that make awesome hair mask are eggs, honey, henna, mayonnaise and so on. Also Read the article: 10 Homemade remedies for damaged hair from your kitchen shelf for more details on cool hair care tips. These were some of the basic hair care tips that I personally ensure to follow to take care of my damaged hair and reduce hair fall. I hope my article is helpful to you. I always welcome feedback and suggestions. 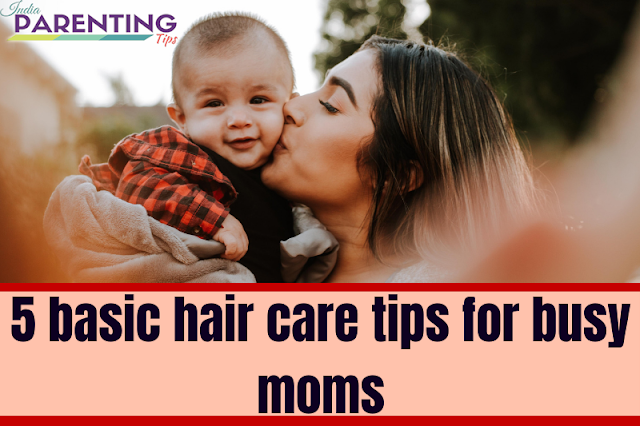 In case you have some awesome hair care tips for busy mom do share with us as comments.